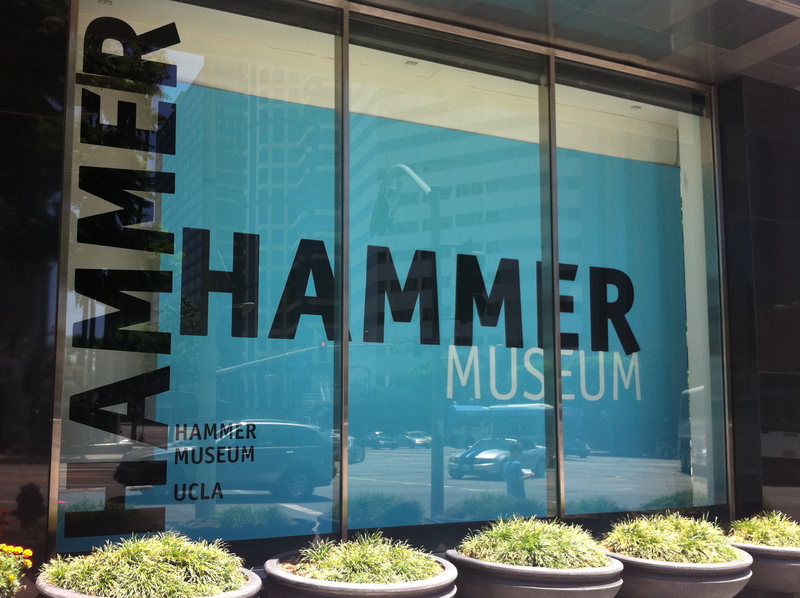 The Hammer Museum’s kicking off the month of August with two family programs this weekend, a free movie matinee and a kid’s workshop. Sunday, the Hammer presents their third and final summer “Family Flick “Toby Tyler”(1960). A film about a boy who runs away from home and joins the circus (click on the link to see the trailer). Last month we went to see our first Hammer Family Flick. I wasn’t sure what my boys would think of the 1949 classic film “The Red Pony.” Would they like a movie without special effects, 3-D thrills, and a blaring DJ inspired soundtrack? Well you know what, they did. There’s something so timeless about a movie with a good story (from John Steinbeck) and great actors (like Robert Mitchum). For older children there’s a Hammer Kids Workshop “Artful Words: When Copying Isn’t Bad” on Sunday. Art educator and poet Theresa Sotto leads this workshop designed for 10-14 year-olds. Kids can copy phrases from their favorite tunes and create new art. If you’re looking for somewhere to eat before or after these programs, I recommend the “The Stand” in Westward. 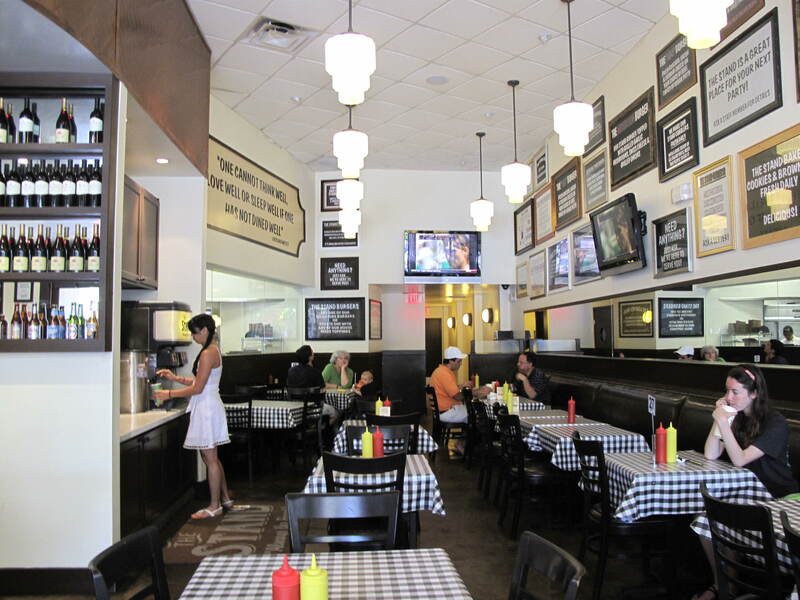 It’s an updated version of a classic American hamburger and hot dog stand, just a block’s walk away from the Hammer. We ate lunch at the “The Stand” after we saw the “Red Pony” last month. The kids loved their hamburgers, fries, and chocolate shakes. And if you’re a vegetarian like me, they make a pretty tasty veggie burger. Also new on the calendar is LACMA’s Free Family Sundays artist-led workshop “Crazy About Color” which repeats every Sunday in August. Week of August 1-7: Orange highlighted program titles indicate special programs for this week only; or repeating programs that feature a new theme, performer, or movie each week/month. All other program listings repeat daily/weekly throughout the summer. Always click on activity links for program details, and to confirm the date and time. Museum schedules can, and do change, from time to time. And be sure to subscribe to this blog to get an email copy of this calendar every week. Posted in Calendar Picks, Hammer Museum. Tagged as art museums, children, families, family activities, kids, kids activities, L.A., Los Angeles, Museums, things to do in L.A.